One of the most exciting innovations in the cosmetic enhancement industry is the utilization of laser technology. Lasers can be used for minimally invasive and effective facial resurfacing to treat fine lines, wrinkles, sun damage and common signs of aging. 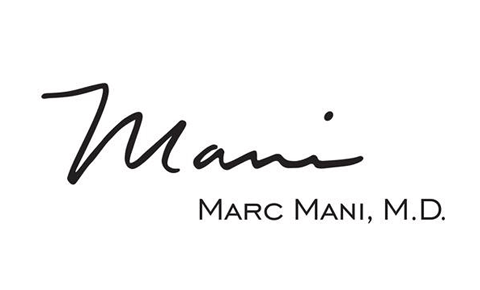 Dr. Marc Mani, a Beverly Hills plastic surgeon, offers a full range of non-surgical facial rejuvenation treatments, including laser skin resurfacing. He uses one of the newest lasers, the Cutera Pearl fractional resurfacing laser, for safe and precise treatment with very little post-operative downtime. What Does Laser Skin Resurfacing Correct? Skin resurfacing with the Cutera Pearl fractional resurfacing laser improves the tone and texture of skin with areas of fine lines, sun damage or premature signs of aging. During treatment, the laser gently ablates a fine layer of damaged tissue to improve the appearance of lined, wrinkled, abnormally pigmented or otherwise imperfect skin. Laser skin resurfacing is optimal for reducing wrinkles, acne scarring and other flaws in the skin, specifically around the mouth and eyes. Many people prefer laser resurfacing to alternatives such as chemical peels and dermabrasion, because there is less pain and a faster recovery time. In most cases, it is a more cost-effective option. Laser skin resurfacing is performed on an outpatient basis at our office. You will receive a local anesthetic and light sedation to ensure you remain comfortable throughout the duration of the procedure. First, the treatment area will be cleansed. Dr. Mani will direct the laser beam at your skin imperfections. The laser light penetrates the surface of the skin to a precise, controlled depth. It vaporizes the outermost skin cells by emitting small bursts of radiation that are absorbed by water in the cells. The Pearl laser is mildly ablative, meaning that it removes only a fine layer of skin and leaves the rest of the skin largely intact to act as a protective dressing while the deeper layers of skin heal. After treatment, there will be some initial redness and flaking. The redness will fade over the course of a few days to a light pink color, which can be concealed with makeup. The flaking will also subside within a few days. In most cases, one treatment is enough to produce the desired results. The results depend on factors such as the size, shape and location of the skin imperfection, as well as the patient’s heredity, age and general skin condition. Skin will look more even in tone and texture. Irregular pigmentation — e.g., acne scarring, age spots — will be significantly less noticeable. With more even and healthier looking skin, you will appear more youthful and attractive. For more information about laser skin resurfacing, please contact our office to schedule an appointment. Call (310) 203-0511 or send us an email today.